Members of the Grand Junction Fire Department have already orchestrated a couple of Colorado River rafting accident rescues this spring. The water level of the Colorado is high and the current is swift and strong due to the significant winter snowfall and the rainfall as of late. Regulars to the river understand how dangerous it can be when the water level is up. Stan Foster says he has floated the Colorado every week for the past seven summers. He points out that the eddies, whirlpools, and debris can be especially hazardous in the swollen river. He and his family have also witnessed their share of mishaps. Foster says he probably comes to the aid of five to ten people every summer. The individuals who usually end up needing assistance are the ones who try to use lightweight inflatable pool toys to navigate the river. Foster and his family say they are willing to pay a little extra for heavy duty canvas-wrapped floats that they can pull behind their pontoon boat. The GJFD’s, Sean Hazelhurst says safety is a must while on the river. People should enter the water only where they are familiar with the area. He says the first rule of safety is to always wear a life jacket, and before heading to the river, tell someone where you are going and what time you plan to return home. He also adds that the GJFD implements additional water rescue training for its personnel. Members of every team are confident in their skills and ready to make a water rescue of injured people if necessary. Last year, the GJFD made 25 river rescues- most of which were preventable. 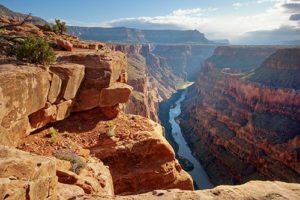 The Colorado River is not the only one to witness rafting accidents this spring. Already, Colorado has registered whitewater rafting fatalities on the Arkansas, Poudre, Animas, Colorado, and Clear Creek rivers. Two others died when their rafts overturned in the Westwater Canyon section of the Colorado River just across the Utah border. Such an early wave of fatalities serves as a sobering reminder of the inherent dangers of using the rivers and the need to take appropriate precautions every time you do so, but especially under recent weather conditions. For up-to-date water heights, discharge, and temperature for several different areas of the Colorado River, check the United States Geological Survey’s website. If you or someone you love is injured in an accident in Colorado Springs this summer, it is important to understand how the severity of your injuries could impact the rest of your life. It is also important to obtain the money you need to recover from those injuries. Contact the experienced Colorado Springs personal injury attorneys at the Green Law Firm today to schedule a no-obligation consultation and discuss your case. Call us today at 1-719-694-8515.